Unified communications vendor, Avaya, expects to emerge from Chapter 11 bankruptcy in its home country by December after the United States Bankruptcy Court for the Southern District of New York approved its second amended reorganisation plan. Avaya said on 28 November the decision is likely to see it emerge from its restructuring process before the end of the year. The vendor declared bankruptcy in January, in an effort to transition from a hardware to a software and services company. Avaya president and CEO, Jim Chirico, said the court’s approval of the plan was a culmination of months of hard work and extensive negotiations among various stakeholders. “In the coming weeks, Avaya will emerge from this process stronger than ever and positioned for long-term success, with the financial flexibility to create even greater value for our customers, partners and stockholders,” Chirico said. 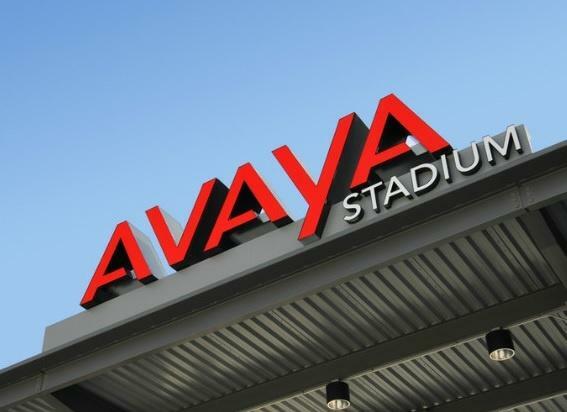 Avaya will have about US$2.925 billion of funded debt and a US$300 million senior secured asset-based lending facility available upon emergence from chapter 11 protection. This is a substantial reduction from the US$6 billion of debt on its balance sheet when Avaya commenced its financial restructuring. In March, Avaya, sold its networking business for about US$100 million to US-based Extreme Networks. The revised capital structure is expected to result in more than US$200 million in annual cash interest savings compared to fiscal year 2016. “I want to thank our customers and partners for their continued support,” Chirico said. “The trust and loyalty of our global customer base and partner network have played a vital role in Avaya’s success throughout this process. VExpress general manager, David McEwen, said as Avaya navigated through Chapter 11, VExpress and the A/NZ business was thriving, along with partners. "VExpress have had unwavering support from Avaya while they have been in Chapter 11. We will continue to work with channel partners to capitalise on the significant demand for omni-channel solutions to help our customers meet the demands of their customers," McEwen said. "Avaya not only continued to build on its existing channel relationships, but was also taking on new partners. "We have also seen strong Avaya business results in A/NZ including significant agreements with organisations in various verticals, such as government and financial services. Based on those outcomes, market sentiment has been overwhelmingly positive." Avaya A/NZ managing director, Peter Chidiac, said in a blog that the company was determined to successfully re-organise themselves and emerge from bankruptcy protection with a viable business. "Our Australian and New Zealand business has in fact proved particularly strong over the last year. We not only maintained relationships with our existing customers, but also attracted many new customers that recognised the role our technology can play in advancing their own businesses. At the same time, we also strengthened our relationships with our partners, which are critical to our go-to-market strategy," Chidiac said. Chidiac acknowledged that he joined Avaya during a turbulent time and it was crucial to meet with customers and partners to express any concerns, queries and outline their needs for collaboration. "It was also particularly important as Avaya Inc entered Chapter 11. Locally, there was misunderstanding around the Chapter 11 protection and so I met with many of our staff, customers and partners to explain the process to them, what it actually meant to our day-to-day business (very little), and how we would continue to deliver on our promises," he said. "Australians and New Zealanders respect this level of honesty and it gave us the opportunity to demonstrate our sincerity and our ability to deliver." Chidiac said emerging from chapter 11 has placed the vendor in a strong position and the US$300 million will be invested in further R&D, sales, services and acquisitions. "This will build on the operational changes and strong financial performance that has occurred throughout the year, which has made us more efficient and relevant to our customers and partners," he said. Centerview Partners and Zolfo Cooper are Avaya’s financial and restructuring advisers and Kirkland & Ellis acted as its restructuring counsel. Locally, Avaya bulked up its ranks across Australia and New Zealand (A/NZ), naming no fewer than eight new appointments and promotions in the past few months. This story was updated to include comments from David McEwen and Peter Chidiac.